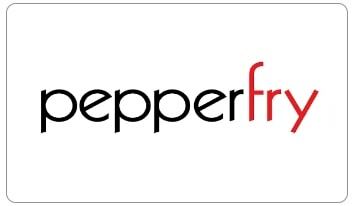 Pepperfry is an online marketplace, providing a platform to link the buyers and sellers on its website: www.pepperfry.com. They also provide certain additional services such as packaging, marketing, promotion, payment processing, customer support, merchandising on site etc. The Pepperfry Gift Cards (Pepperfry GCs) so issued can be used for any purchase listed on www.pepperfry.com or Pepperfry Mobile App only. You agree and understand that Pepperfry GCs are a pre-paid payment Instrument subjected to regulations by RBI Under the RBI guidelines Pepperfry.com / Qwikcilver may be required to share KYC details of the purchaser/ redeemer of the Pepperfry GCs and/or any other information with relation to the purchase of the Pepperfry GCs and/or transaction undertaken using the Pepperfry GCs with RBI or such statutory authorities. Pepperfry.com / Qwikcilver may contact the purchaser/redeemer of the Pepperfry GCs for any such information.